A trade in offer worth looking at. 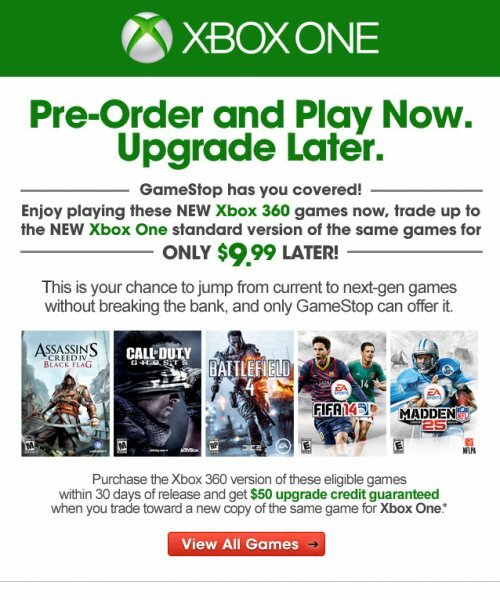 This seems like a pretty good deal for those of you looking to purchase an Xbox One system this fall, but are hesitant to pick up any more games for your Xbox 360. 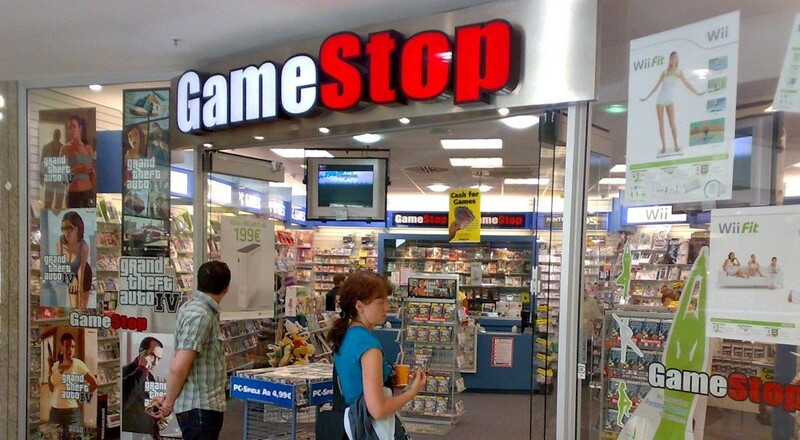 Gamestop will let you trade in the Xbox 360 version of many of the games that are also launching on the Xbox One and receive the Xbox One version of the same game for only $10. This deal includes titles like Assassin's Creed IV: Black Flag, Call of Duty: Ghosts, and a handful of others from EA Sports. You need to purchase the games within 30 days of its release and be a PowerUp rewards member to take advantage of the deal, but this seems like a really solid offer.